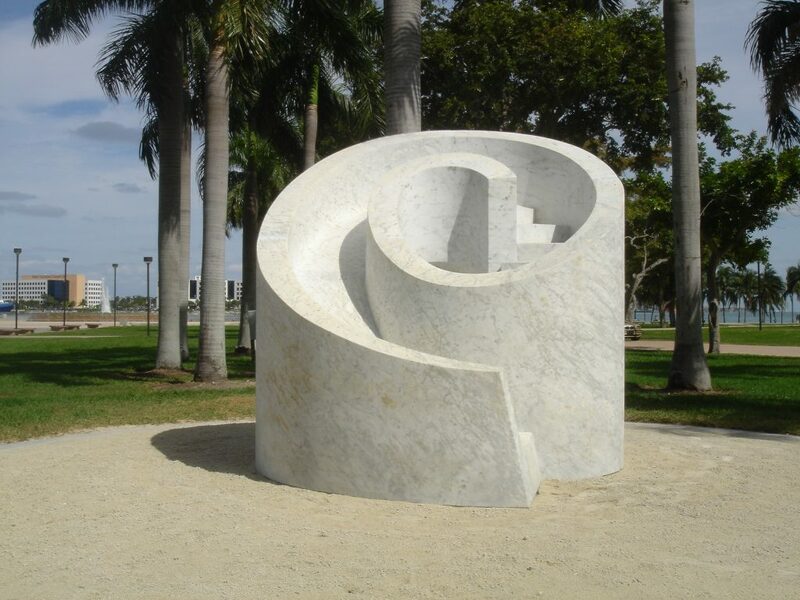 Slide Mantra was one of the last major works by the great American sculptor Isamu Noguchi. 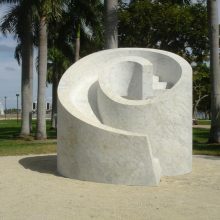 The sculptor was selected to represent the United States at the 1986 Venice Biennale and this work was the centerpiece of the exhibition. 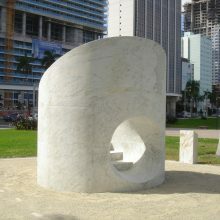 Installed in Miami in 1991, the work was a favored feature of the city’s premier public space until it was damaged by Hurricane Wilma in 2005. 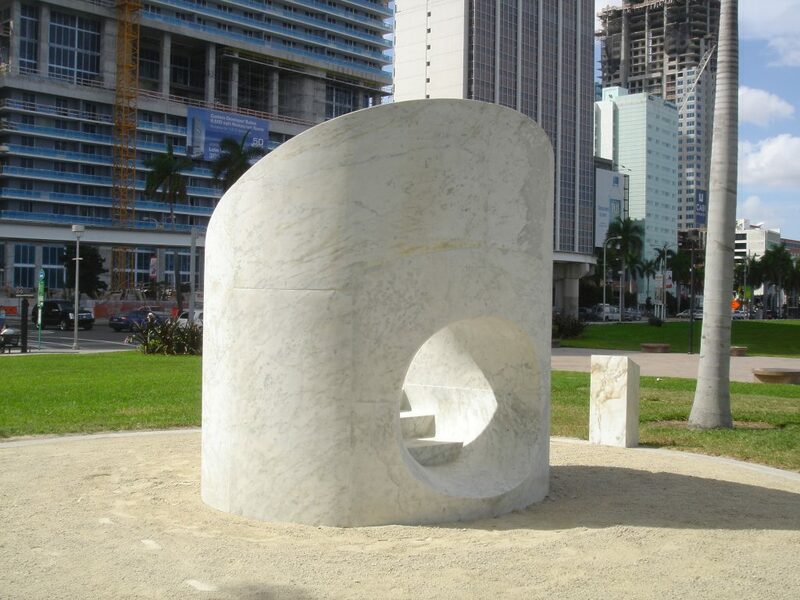 Two of the eight interlocked massive Carrara marble blocks fell when the storm passed through the city. We were contracted to assess the damage, provide means of restoring the work, and develop and implement a method to stabilize it against future hurricane events. 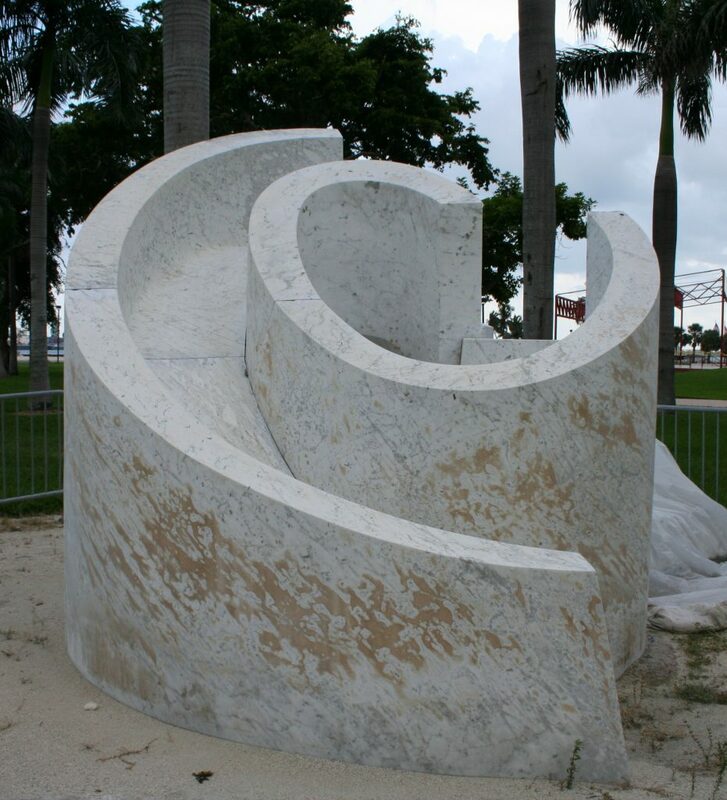 We studied the work and developed a means of restoring the sculpture. 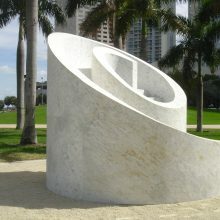 The original installation had been done without using any pinning, relying solely on the stones’ weight to secure it. In addition, it was installed below the finish level of the surrounding sand, hiding approximately 1 foot of the bottom of the carved forms and allowing disfiguring biological materials to grow on the surface. 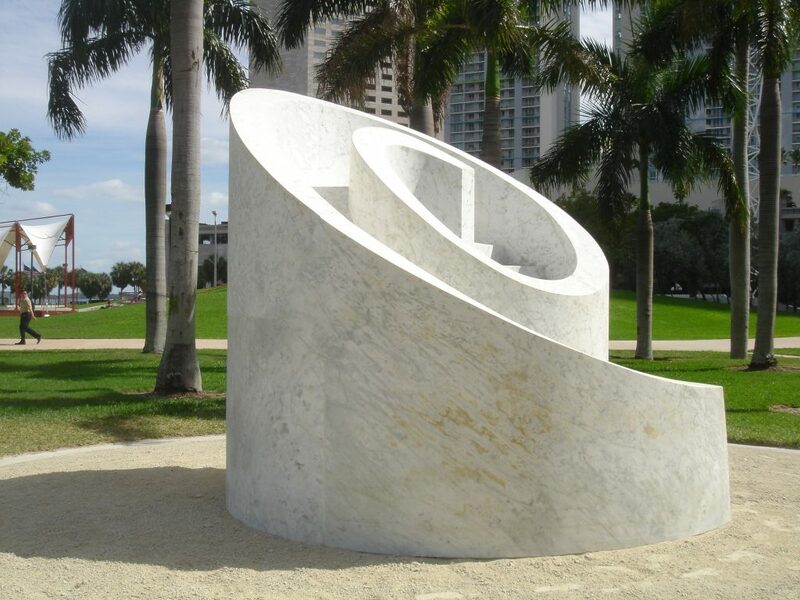 We implemented the work, disassembling the massive stones, installing a new footing and reassembling each with internal dowels and tie rods. 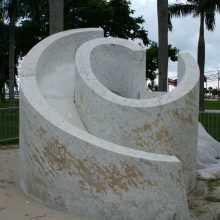 The sculpture was then cleaned of stains and graffiti. In 2012 after repeated graffiti hits and subsequent cleanings it was decided to apply a graffiti blocking barrier coat. This was done with assistance from the park’s staff so that they could clean additional graffiti and re-apply the blocking coating without having to arrange for outside conservation assistance. Staff was trained in appropriate means of graffiti cleaning and coating application as well as general conservation maintenance practices.